Enchanted Celebrations was formed in 2006 by Alex Karas. We pride ourselves on being a relationship, team-oriented based family. Headquartered in West Creek, New Jersey, we specialize in the New Jersey, Pennsylvania, and New York metropolitan areas. With our meticulous attention to detail, it is no surprise that Enchanted Celebrations is rated a 4.9 or greater out of a 5.0 scale on all popular rating websites. Acclaimed for excellence and unparalleled levels of customer service, we successfully complete over 450 weddings comprising of over 1,500 individual services annually. Along with successfully completing so many weddings annually, we can boast that we photograph and edit over 500,000 wedding images every year. Our core services include disc jockey, photography, videography, ministry, lighting, and photo booth services. Team members at Enchanted Celebrations have established a reputation for redefining the paradigm of personalized and warm service within the wedding industry. Our company is guided by the ethics, morals, and convictions of our energetic, top notch leadership team. Alex created Enchanted Celebrations as a flagship company in 2006. He is a registered wedding expert for News 12 New Jersey. He has authored many wedding planning articles and a wedding ceremony etiquette book. Alex has helped busy brides by creating a suite of web-based planning tools such as an online ceremony script builder and a post-photography website to streamline the planning process. He makes sure every Enchanted Celebrations employee delivers nothing but the utmost level of satisfaction to all clients. Alex graduated from Stockton College with a Bachelor of Science and is pursuing a Master’s in Management from Thomas Edison State College. He is also certified in Adobe Photoshop. He currently resides in Barnegat with his wife Nicole, daughter Kenna, and their two miniature dachshunds, Lulu and Stretch. Erin oversees all day-to-day operations at Enchanted Celebrations and is responsible for the planning, production, and operations departments. She takes an active role in making sure that our staff, at every level, delivers a superior level of customer service that our clients have come to expect. As the administrative leader of the leadership team, Erin takes charge in creating, researching, and directing new policy and process changes that directly benefit our clients. She understands that the satisfaction of our clients is the bedrock of our continued success and consistently goes the extra mile to accommodate all requests whenever possible. Erin has over a decade of experience in customer service and operations for enterprise-sized companies and graduated from the Art Institute of Philadelphia with a Bachelor of Arts in Graphic Design. She currently resides in Long Beach Island with her husband, daughter, and their two dogs. Jen is our client’s first gateway to learning about what Enchanted Celebrations has to offer. Nothing is more important to her then keeping couples planned and energized for their wedding. Originally coming from the pharmaceutical industry, she excels at listening to prospective clients and providing real-time solutions that matter most to them. She is often reaching out to the Marketing and Production Departments asking for newest samples from our portfolio to show off. If she is working with a client and they need to see something special from us, she will get it! Jen relentlessly researches new wedding ideas by speaking to brides and reading everything that she can to help expand the Enchanted Celebrations offerings portfolio. She’s more than determined to make sure that our clients have every option available to them. Jen graduated from The Richard Stockton College with a Bachelor of Science in International Business. She resides in Bayville, New Jersey with her husband and two dogs. Victoria creates connections with our couples to create an exciting, worry-free experience while planning their wedding. Presently, Victoria’s main focus is working with our clients to schedule and attend in-home consultations. With her fresh approach, Victoria helps brides create their special day step by step. With an open heart, Victoria enlightens our clients with knowledge on what Enchanted Celebrations is all about. With a background in fashion, hyper-organizational skills, and strong attention to detail, Victoria holds pride and passion in helping brides achieve their wedding day goals while staying in the means of their budget. Every detail is handled with impeccable care and imagination making sure you receive nothing but the best. Victoria graduated from one of NYC’s most prestigious fashion schools, LIM College with a Bachelor of Arts in Marketing. She currently lives in Long Beach Island with her boyfriend and puppy Jake. Jessica is a multi-talented asset to our team as she helps with multiple departments to ensure quality and efficiency for our couples on their special day. Jessica assists in perfecting every possible detail for our couples both before, during and after their wedding day. 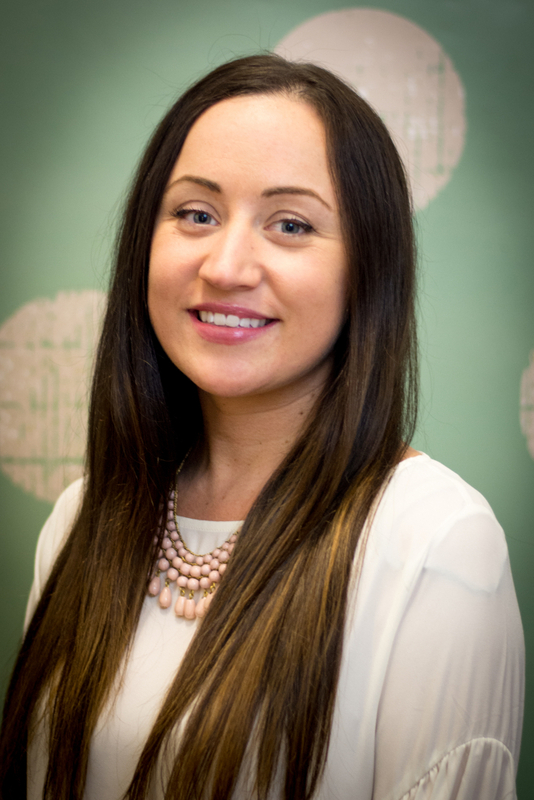 Jessica strives to keep our clients fully updated and alleviate any stress during their planning process. On most days, Jessica specifically works to please our couples as customer satisfaction is the key to both her own personal success and the success of Enchanted Celebrations. Jessica works hard so our clients don’t have to. As we grow, finding new talent that will perform to our high standard is key to our client’s continued satisfaction. From recruiting, selecting, and onboarding the very best for our weekend staff to personally assisting couples in finding what staff members will best bring their dream wedding to life. With Jessica in charge of all aspects of hiring, our recruiting and selection process is nothing short of rigorous. Jessica does this by conducting in-person interviews, scheduling shadow shooting dates (for photographers and videographers), setting up auditions (for DJ’s and MC’s), as well as administering pre-employment testing such as a psychological battery and a background check. After all of that is prepared, she sends all of the information to the Production Coordinator and Director Operations for a final hiring decision. Jessica personally analyzes each potential staff member to ensure that each client is taken care of and happy with the final results. This is all to make sure that our team is always composed of the best of the best. Business-savvy Jessica graduated from Stockton University with a Bachelor of Science in Business Management and is also a certified bookkeeper from the American Institute of Professional Bookkeepers. She resides in Audubon, NJ with her boyfriend and her cat, Boots. As the event coordinator, Alissa is the main point of contact between our clients and Enchanted Celebrations. She has a hands on approach to communicating with our clients and our staff to help everyone prepare for all upcoming weddings. Alissa understands that planning a wedding is a big deal, and makes herself available to our couples as much as possible to ensure everyone is beyond satisfied. Whether a couple wants to plan their wedding via phone, text, email, fax or over video chat, Alissa is available! She firmly believes that a wedding should be a celebration and be completely stress free. Alissa takes personal responsibility to make sure every couple is having fun and are as excited as she is about planning their special day! Attention to detail is only one of her many strengths as an event coordinator. Alissa grew up in Manahawkin and is a Montclair State graduate with a Bachelor of Science in Business Administration. Alissa takes great pride in her work and providing exceptional customer service to each and every couple. On top of her degree, Alissa also holds an Event Planning Certification from Trendimi and is always looking to further her knowledge in the industry! She currently resides in Manahawkin, NJ with her son, John. Lindsay is one of the first steps to planning a dream wedding for our couples. She connects with couples to find out their exact needs and provide them with extraordinary service in order to meet and exceed all of their expectations. One of Lindsay’s main focuses is conducting in home consultations in order to ensure she is creating a package that is specific and meaningful to each couple’s unique needs. Through listening with compassion, Lindsay is able to determine what the best options are for each couple! Lindsay is a Montclair State graduate who prides herself on her strong work ethic . With a Bachelor of Arts in Fashion Studies and a double minor in Business and Merchandising; Lindsay has a multitude of knowledge that she loves sharing with our couples. Active listening, multi-tasking and organizational skills are just a few of Lindsay’s invaluable assets. Lindsay currently lives in Galloway, NJ with her family, her dog, Toby and her cat, Dylan! As the Operations Assistant, Tianna works diligently in multiple departments within Enchanted Celebrations. She provides administrative support along with daily tasks that assists the business operations here at Enchanted Celebrations. Tianna works directly with our Director of Operations and Operations Manager to assist engaging with our clients to identify their needs and ensure customer satisfaction. Tianna’s primary responsibilities consist of all aspects of the marketing funnel for our company as well as assisting in the human resources department. Her interpretation of success in her role is that she puts in over 100% of hard work and dedication into representing Enchanted Celebrations as a whole and providing the best operations support. Tianna believes an important value of being an Operations Assistant is to have an “all hands in” mindset seeing that she assists in every department. Tianna is super supportive of all her team members and demonstrates these principles by always being prepared to perform her very best at any given task necessary to assist the Operations of Enchanted Celebrations. Tianna graduated with her Bachelor of Science in Business Administration – Marketing, Management, & Decision Sciences from Monmouth University’s award-winning Leon Hess Business School in May 2018. She received a certification for her minor in Information Technology. She also holds certifications in Inbound Marketing, Google Analytics, and SEO. During her college years, Tianna interned for various companies in the wedding industry (Enchanted Celebrations being one of them!) She currently lives in Voorhees, NJ with her dog, Bianca! Service with Compassion is our customer service platform and our promise to our couples that our professionals will always strive to extend their level of service far beyond the norms of what is expected of wedding professionals. Our professionals will always aim to create unforgettable experiences through unexpected gestures and to do their very best to not only fulfill but to anticipate the needs of our couples. To make your occasion memorable, unique and exciting for all of your guests. To understand that good isn’t good enough for our exceptional clients. Our goal is to leave you and your guests spellbound by using the best effort, best energy, best creativity, and only the best customer service personnel. We at Enchanted Celebrations believe that your event should be a very special memorable experience when using any of our services. We also believe that every event is different and needs to be treated uniquely. You, as the client can customize any event package to suit your needs and with the wide variety of services that we offer, we will act as your one stop party planning shop. Let us give you the personal experience that you deserve! Enchanted Celebrations will create memories that will keep you spellbound for a lifetime. We understand that you are planning a once-in-a-lifetime event and it needs to be perfectly the way you have imagined it for your entire life. We set our standards high! We are dedicated to giving you over 100% effort and attention from planning your party to your last good-bye. All of our team members are experts of their field and will only give you the best of the best for your event.